Leo privacy guard from Leomaster company is a highly rated security and safety app based on its general performance and services that it offers to billions of mobile users around the world. It provides an all round safe, simple and smart protection and boosts mobile devices. This makes it to be the favorite security app to a huge percentage of users. • It features a convenient privacy scan that locates any loopholes on your phone. • The safe box hides your private photos and videos from the inquisitive eyes. • It supports Wi-Fi security and enhances network safety by warning against unsecured or malicious WiFi hotspots. • This app comes with different types of passwords including PIN code, the Pattern lock/Touch ID lock and Dot lock. It features attractive applock themes which decorate the applock screen. • It offers a back up feature that enables you to restore your favorite applications on SD card. • You are able to lock your private messages and calls. • Leo Applock has the capability to lock up everything, including Messenger, Whatsapp and any other application on your mobile phone that can easily leak your privacy. • Users can customize the lock mode and even lock different applications under different circumstances. • It can be accessed quickly on the home screen and with just a click, it will boost your mobile phone’s by clearing the junk and cache instantly. • The break in alert helps you to find out the intruders. If any person enters wrong password three times, the app will automatically take their selfies through the private camera feature and save them in the special private album. • The anti theft feature is effective in locating a lost phone on maps and helping you to know exactly where to find it. A message corresponding code helps wipe all your private data on lost phones. • The shortcuts assistance helps you to access commonly used functions with ease. There are settings on the top right corner of the your homescreen that will enable ease of operation. For example, if you want to change the password you will have to click on the app settings, then select the change password feature and then reset your password. Sometimes, we forget our PIN or passwords. You should therefore set a security question that will help you in resetting new passwords in case you forget the old pins or patterns. This can be done by going to the Applock page, then enable the Advanced Protection located in the Applock Settings, then open any locked apps> Lock Interface>Settings>Forgot password. Then you will successfully set the security question. 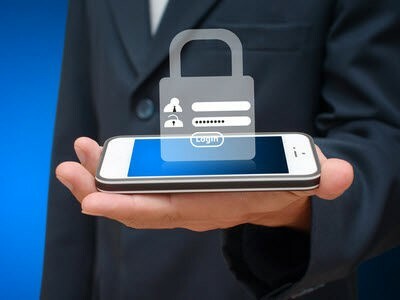 Installing this application on your mobile device will enable you to understand your privacy and protect your personal information with ease. It provides you with the best way to keep your secrets from nosy people. This is a must have app if you want to feel comfortable when someone snatches your phone or if you decide to give it to them. The security feature, the pretty cool and simple way of cleaning up the phone, the backup feature as well as the boosting capabilities will give you premium experience. Next : Why Do People Prefer Choose To Buy Gold Horseshoe Necklace?